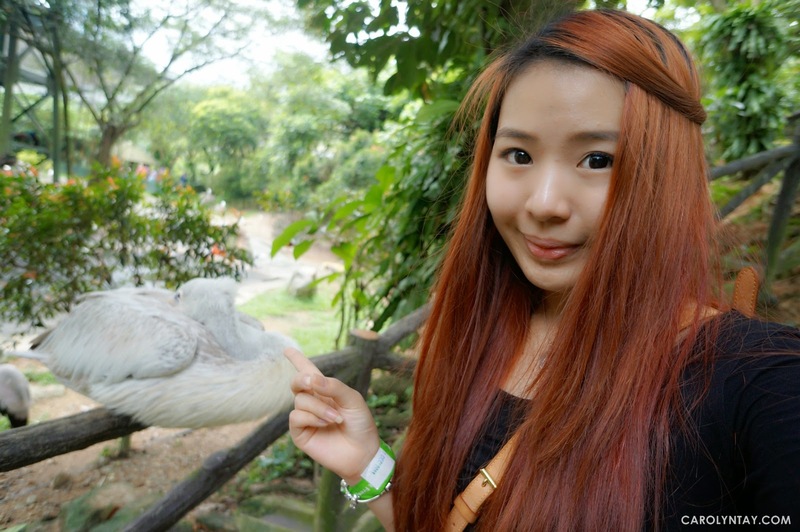 An Impromptu trip to KL bird park! Hello guys ♥ I was going through my picture folders on my desktop and realized I haven't blogged about my trip to KL bird park last year! It was my bubz idea as we ran out of places to go, I was so bored with going shopping and so. When was your last trip to KL bird park? I heard they just renovated the place, so I was eager to check it out. After made a few rounds and with the help of waze, we're finally there! We were then greeted with these green birds, I was praying hard they won't poop on me! Caution: This post will be spammed with pictures of birds, and occasionally my face as the birds are very camera shy! They even have the cutest rubbish bin. Trying to take a picture with the peacock but it ran away after this picture was taken. I find this fat bird so cute, I went so close to it to take a selfie then it turned his head away from me :'( why! We finished the whole park in 2 hours, there was a lot of birds but not many varieties. We did watch the eagle feeding but it wasn't anything special. We exited the park through the souvenir shop, the plushies are so cute! Do you think it's worth visiting?